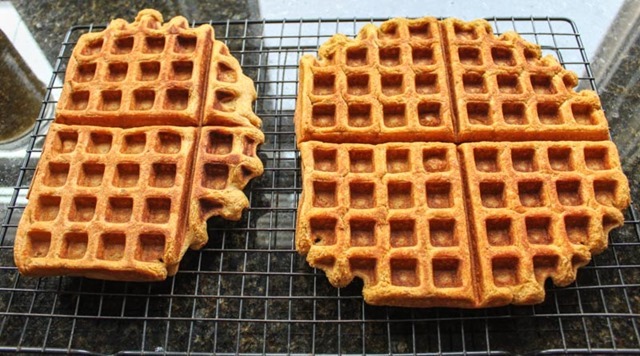 I know pumpkin recipes should be reserved for the Fall but I couldn’t wait on these. 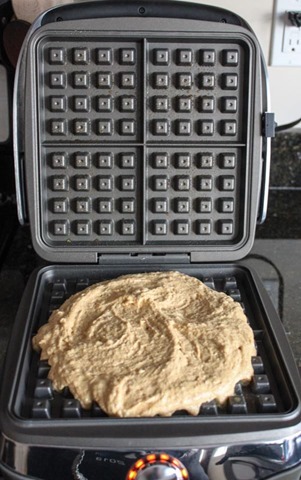 The second I got my new waffle maker, these were the first recipe that I whipped up. 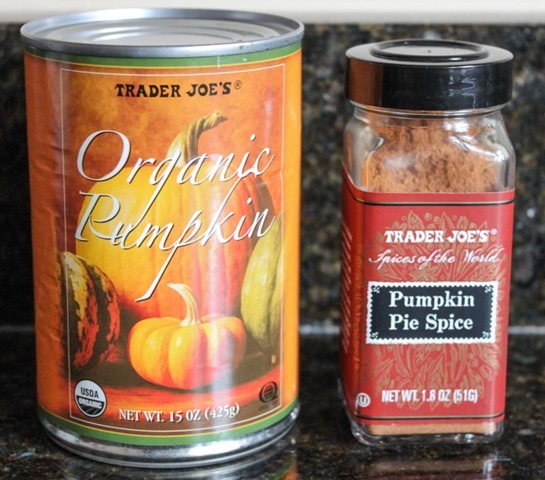 Such a naturally perfect duo – pumpkin and pumpkin pie spice. Yum yum. 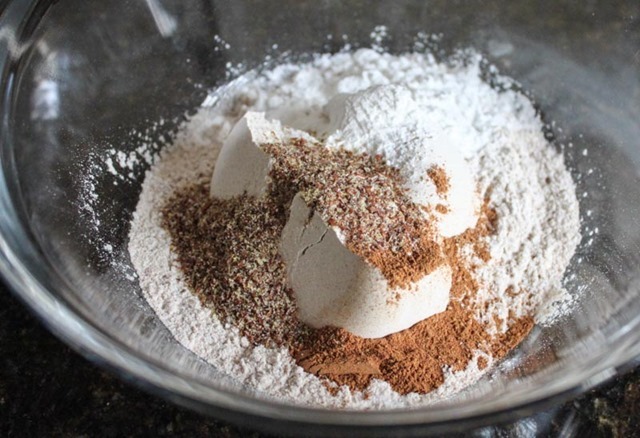 First step, mix the dry ingredients (flours, spices, flax, baking powder) in a big bowl until thoroughly combined. 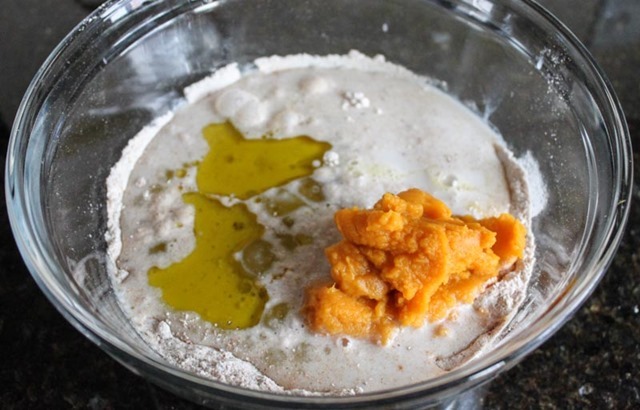 Then add in the wet ingredients (milk, pumpkin, vanilla, egg, oil agave, water) and stir until the batter fully comes together. Pre-heat your waffle maker according to the manufacturer’s directions, add in the batter (I think the general rule here is to add the batter to the center of the waffle maker and it will spread outward when the lid is pressed down), and cook per your waffle maker’s instructions. 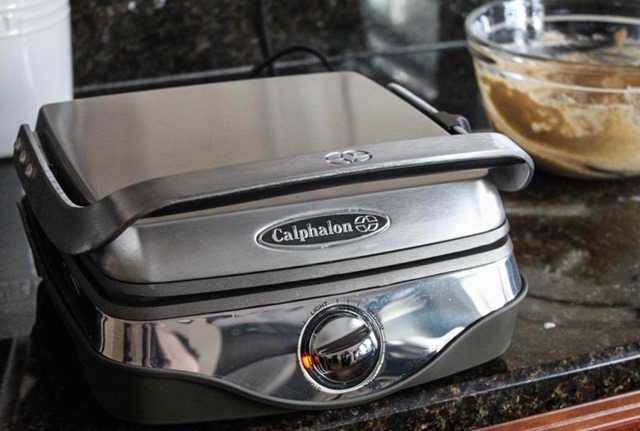 My waffle maker takes about 5-6 minutes to cook. 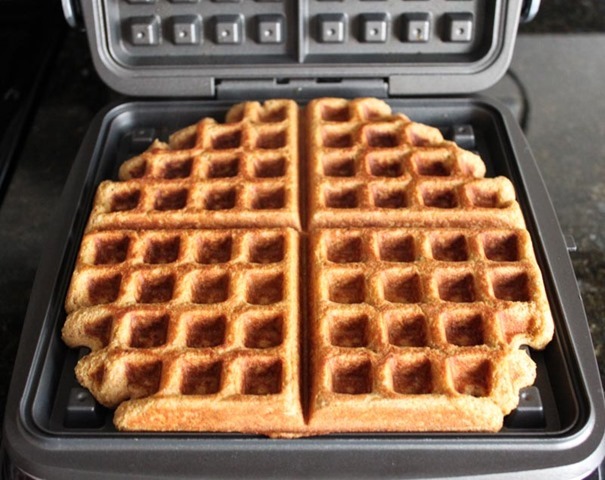 When the waffles are done remove from the waffle maker to cool and add the second round of batter. 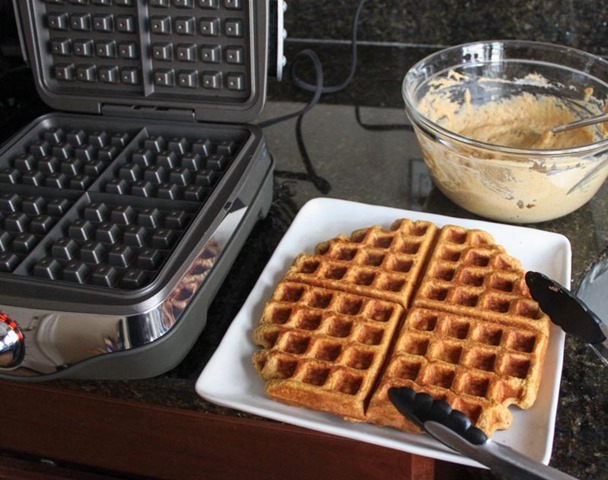 Pro Tip: Use a wire cooling rack to cool the waffles rather than a plate – unless you want a soggy mess. 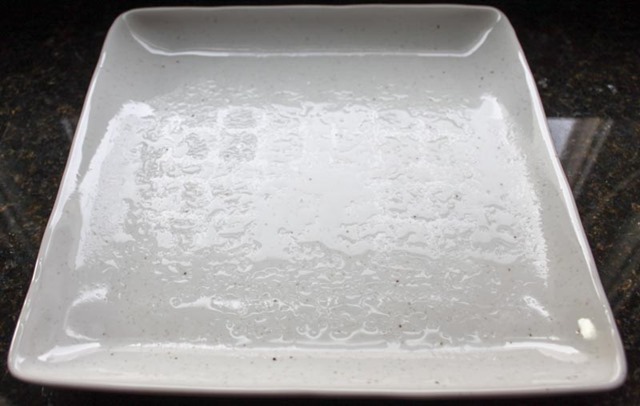 The steam/condensation is pretty bonkers if you put a hot waffle right on to a plate (as you can see below). Not good! 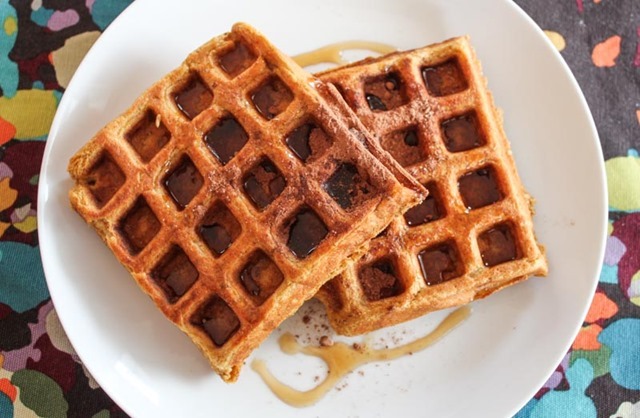 Cool the waffles just a bit and then plate up with any garnish you like. 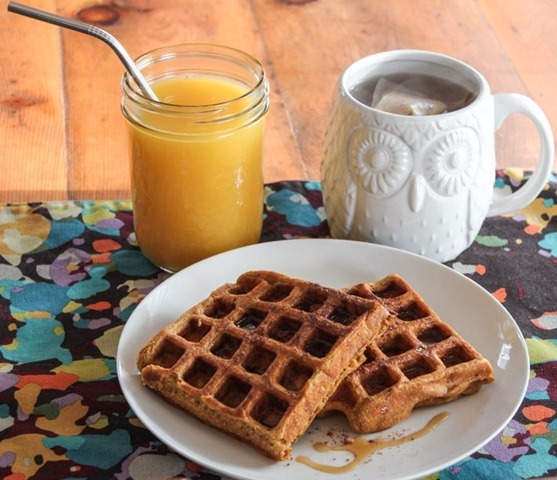 I use agave as syrup but the possibilities are endless! 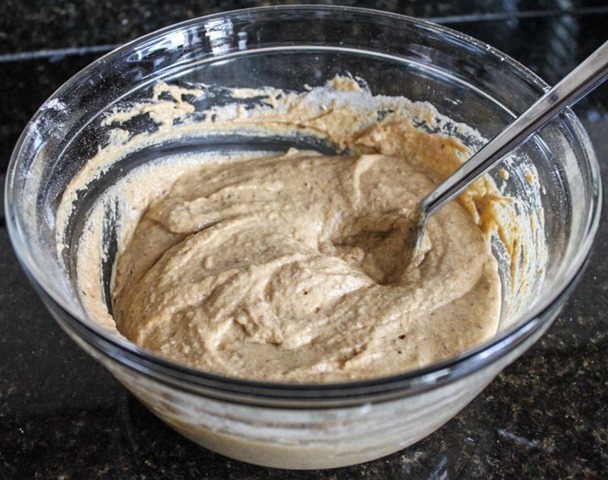 Top with a pinch of cinnamon for an extra burst of spice!